This family regroups the Plaice and its relatives. 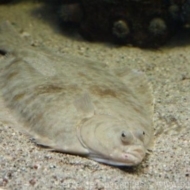 This family regroups the Turbot and its relatives. This family regroups the Soles and their relatives.